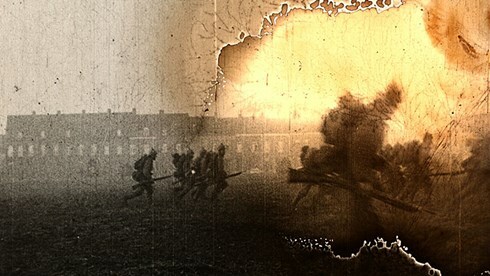 Bill Morrison's look at the First World War is as trippy a war film/documentary as you can get. Made up of decaying fragments of films shot during the war it is a trip to another time and another place. If you've seen any of Morrison's films you know what to expect. Less documentary and more essay the film is full of heavily decaying images through which a soldier, a plane or a tank may appear. It is literally a fog of war. Driven by a score by Alekzandra Vrebalov and played by the Kronos Quartet the film is a visceral gut punch. Morrison is juggling a number of weighty ideas around however he as placed them purely into emotional territory. One needs several viewings to get to the heart of what it is all about.